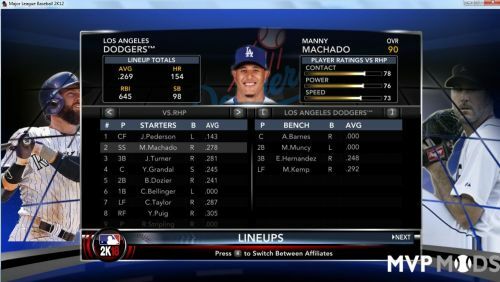 This mod is a collaboration of works from all the fine modders 2K12 has had since the game released. Everyone's work is very much appreciated. A big thank you to everyone who has contributed. 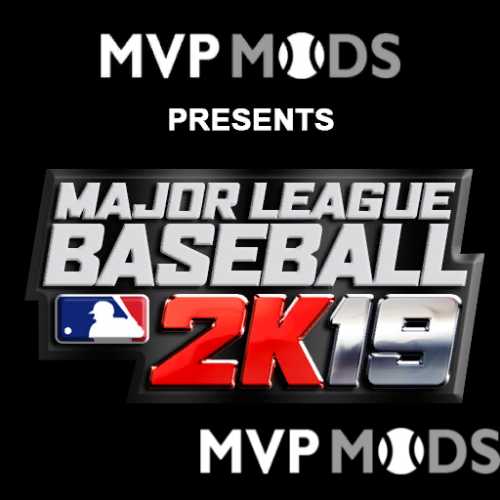 The mod consists of 7 components: Total Audio, Total Cyberfaces, Total Frontend, Total Portraits, Total Stadiums, and Total Uniforms which transform the game to a 2K15 experience. The following is a break down of each mod component and what to expect. The Roster is the BSU-FAN roster updated to 10/10/15. 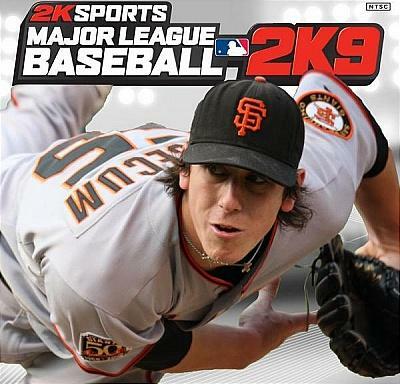 All uniform colors have been updated for 2K15 and there should no longer be any cyberface IDs assigned to zero. The franchise file is BSU-FANs v6 franchise file. The difficulty sliders are BSU-FANs custom sliders. 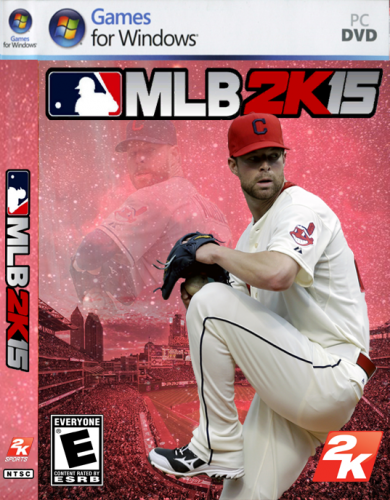 A Corey Kluber 2K15 .ico file is included in the download to update your icon. Every cyberface on mvpmods has been sifted through and placed in here dating up to 10/14/15. There are 1,615 faces in the pack. Go Wild! 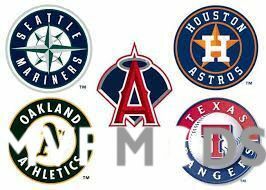 All team logos, MLB and MiLB, every event logo, etc has been updated for the 2015 season. 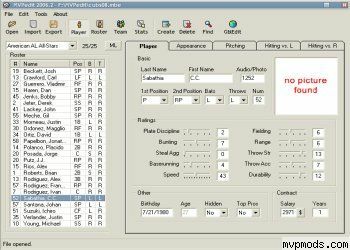 Updated umpires, Updated bats, cleats, baseballs, sky textures, background images, etc has been updated. 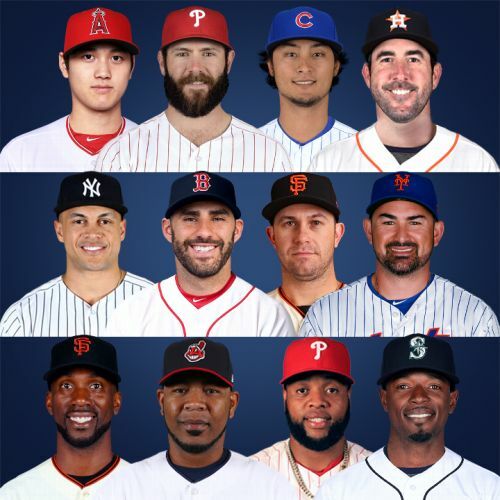 Every MLB team should have all the portraits updated as of 10/10/15. 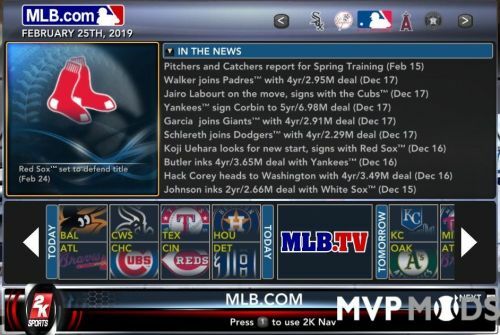 Every MLB stadium is included in this pack with real ads. Most have been updated by Dasteelerz with HD textures. All the stadiums include 2015 posteason logos. 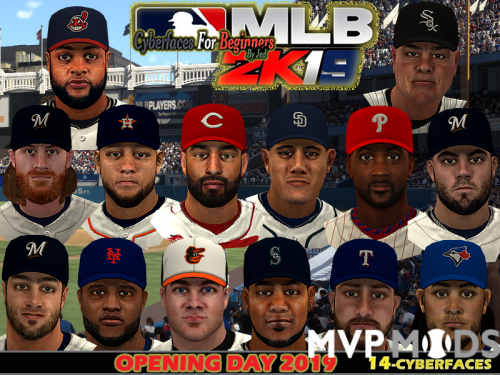 Every jersey in the game has been updated for the 2015 season and many of the included crowd files have been updated as well. 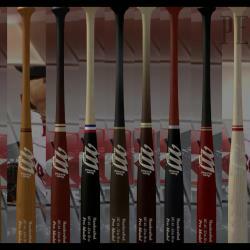 MLB and MiLB are both included. 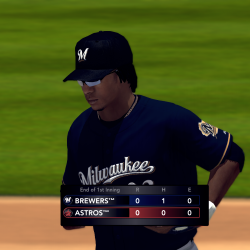 Crowd noises, and realistic HR sirens have also been updated. All the files have been heavily compressed to as few 100 mb files as possible as that’s mvpmods file size limit. Please report and problems or bugs, etc, in the Official 2K15 mod thread. Happy playing my friends!